Simply Aroi Thai Restaurant is a month young authentic Thai restaurant serving unique Thai dishes at affordable prices. Situated directly opposite the Subordinate Court, tucked at the back of People’s Park Centre, the restaurant may be hard to locate but easy to do a little celebrity spotting. We were warmly received by the restaurant’s manager primped in traditional Thai costume. He recommended us some of the restaurant’s best selling dishes to try. Starting off, we had Kai Aroi (4pc $6/8pc $12), or stuffed chicken with lemongrass and other herbs which was aromatic and well cooked. We also had unique Yum Puk Boong Kroub ($8), or deep fried golden kang kong which was crisp and moist, and very appetising when eaten with Thai mango spicy dipping sauce. Full of seafood ingredients with rich creamy soup and traces of coconut flavour, the Creamy Tom Yum Seafood Soup ($10) was pleasant. Because we had the soup at normal spice level, we were able to sip in the soup with ease. 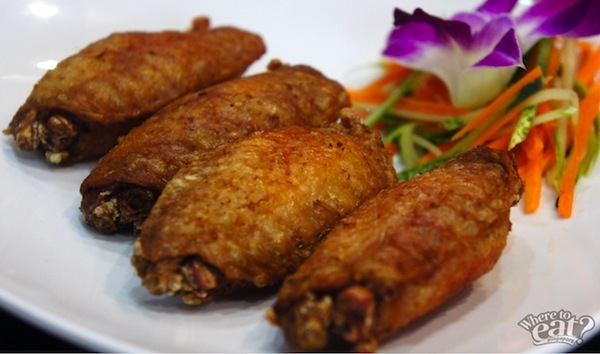 If you are more adventurous or have a penchant for chilli, a more spicy option is available upon request. We also had the Kaeng Keaw Wan ($12), or Thai Green Curry which was sweet scented and flavoured, but not as spicy as we had expected. However, the chicken pieces were cooked to tender perfection, complimenting the velvety curry soup texture. 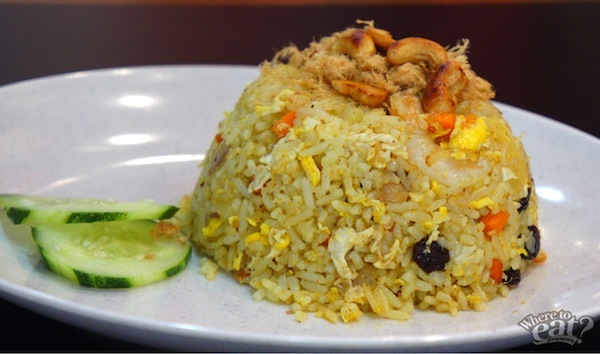 One of the more popular dishes, and our favourite for the afternoon too, is the Thai Pineapple Rice ($8). We haven’t tasting anything quite like this, this is a definite must try. The fluffy pineapple rice was moist yet nicely separated, with mild curry undertone given its even distribution of light curry powder. Sweet flavours were accentuated by raisins, pineapple, cubed prawns and fluffy floss. Overall, we thought the dish to be unique and appetising, and able to leave us desiring for more. 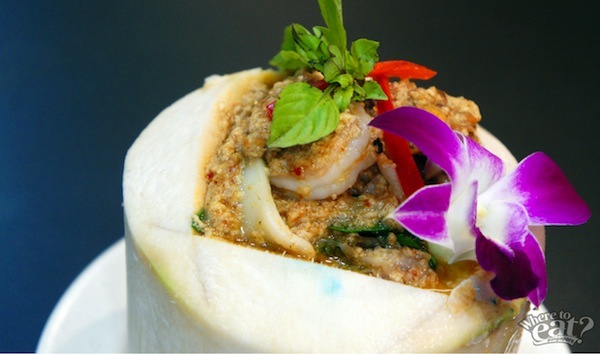 Another must try is authentic Thai recipe Ho-Mok Talay Ma Praw-on ($15), or seafood in coconut. 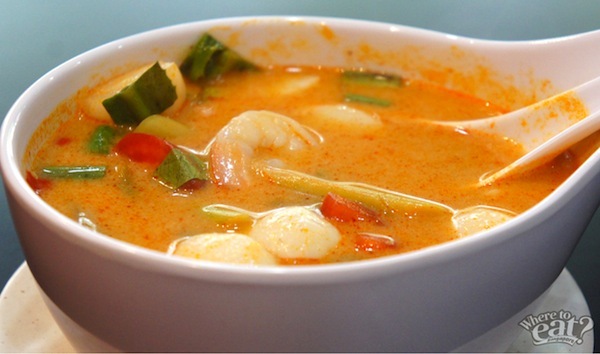 The juicy and fleshy concoction amalgamates fresh seafood, prawns and special herbs to deliver an acute taste. According to the restaurant’s manager, preparation involves peeling the coconut of its flesh, cooking the seafood and prawns in coconut juice, adding special herbs for enhanced flavour, and adding the coconut flesh to simmer for a while. Slipped back into the coconut shell and served to guests, we thought the dish to be unique and appeasing to most appetites. 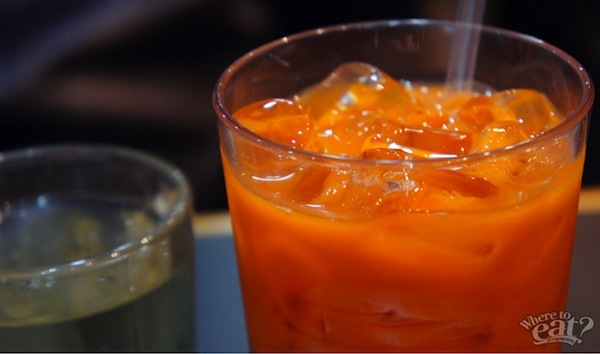 Without a doubt, Simply Aroi Thai also stirs up one of the best Thai Ice Milk Tea. The level of sweetness was just right, the drink had the right balance of sweet and creamy milk tea flavour. 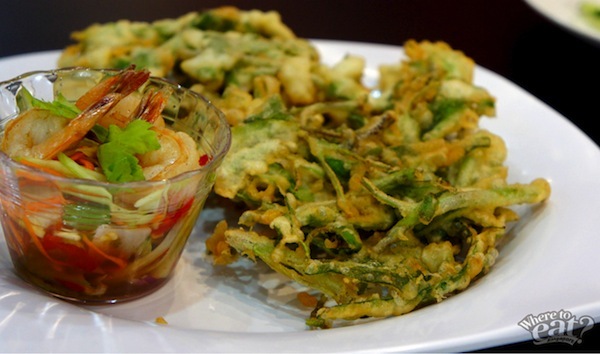 If you work or live around the area, we highly recommend you to visit Simply Aroi Thai and try our recommendations, simply because we have enjoyed our meal there. 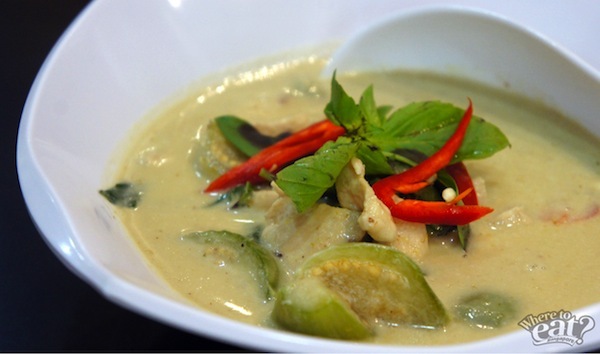 Simply Aroi Thai sure does a fantastic job whipping up authentic Thai food at affordable prices. Plus it will be a great place for you to celebrity spot! Tried the food here! 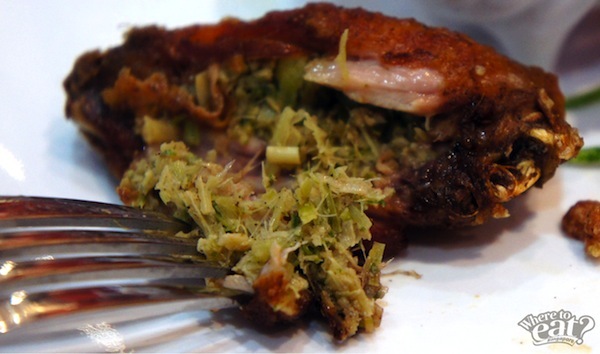 Simply delicious, Simply Aroi… definitely recommend this to my friends! Food is blend and nothing special. Price is on a pricey side and does not justify the level of service and taste of food. I prefer golden mile where u can really choose among so many stalls selling different authentic food. One first and last time visiting the shop.